UTOPIA very quickly gets used to the new conditions. 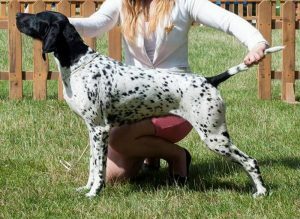 He also good behaves in the playpen, at home and in the car. 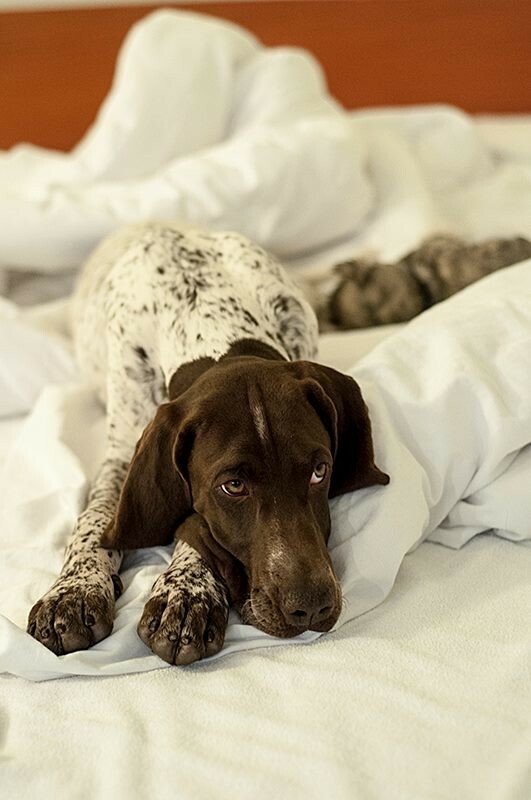 Nowhere does it cause trouble. Always cool-headed, quiet and calm, rarely barking. Not aggressive towards other dogs. 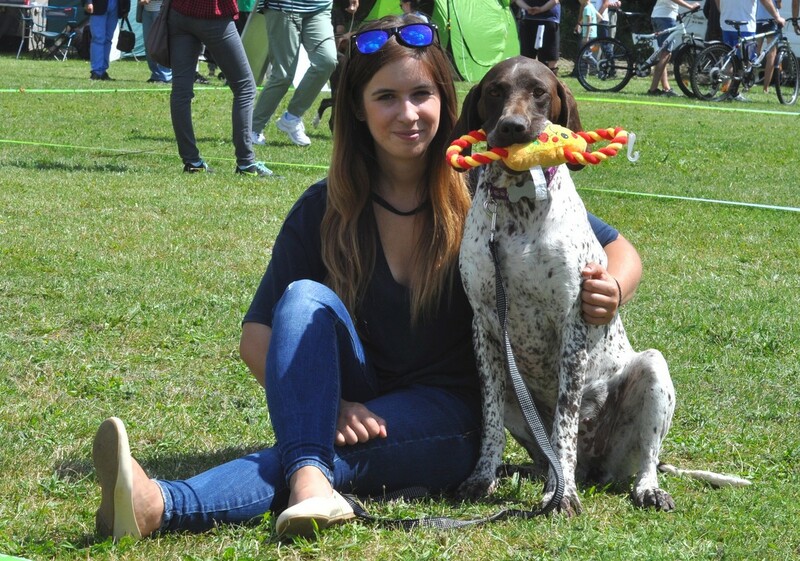 Friendly to people, especially to children. 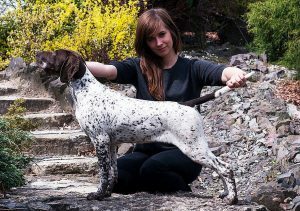 Very easy to train. Inborn aport, beautiful, stylish pointing, very good wind. 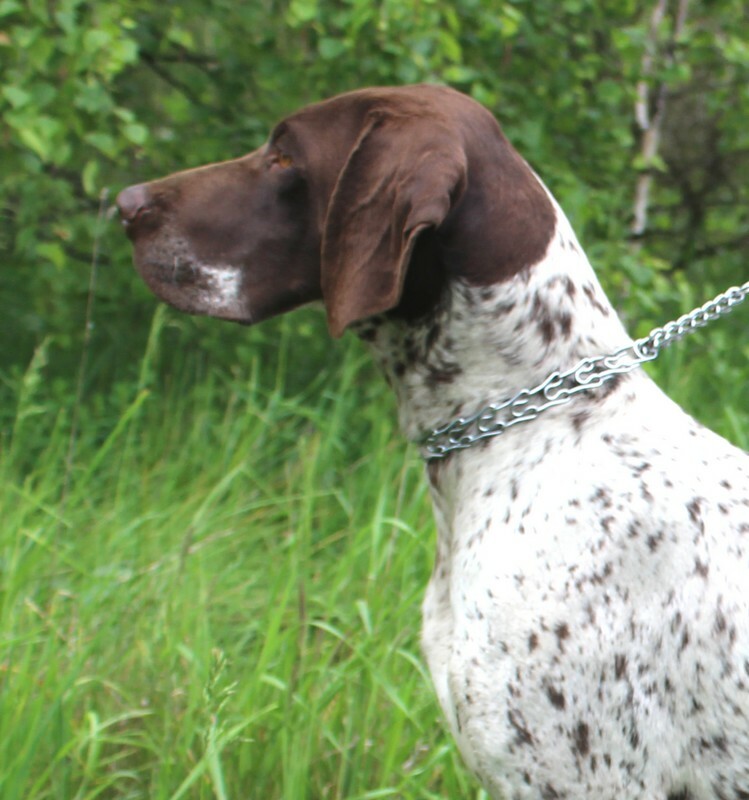 She works fast, goes far away while covering the ground, but is always in the hand of a handler. 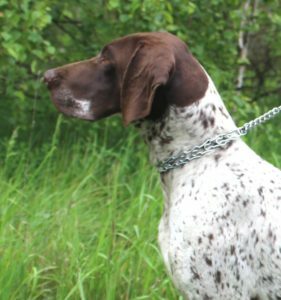 UTOPIA was trained by me, after years of break I returned to the skills acquired during my distant work with different dogs. 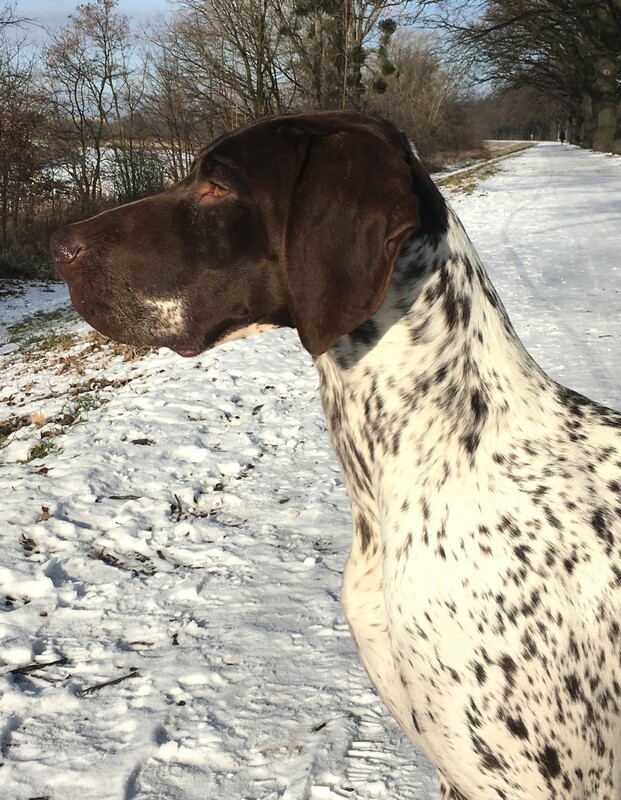 She participates in hunting for birds - ducks and pheasants. 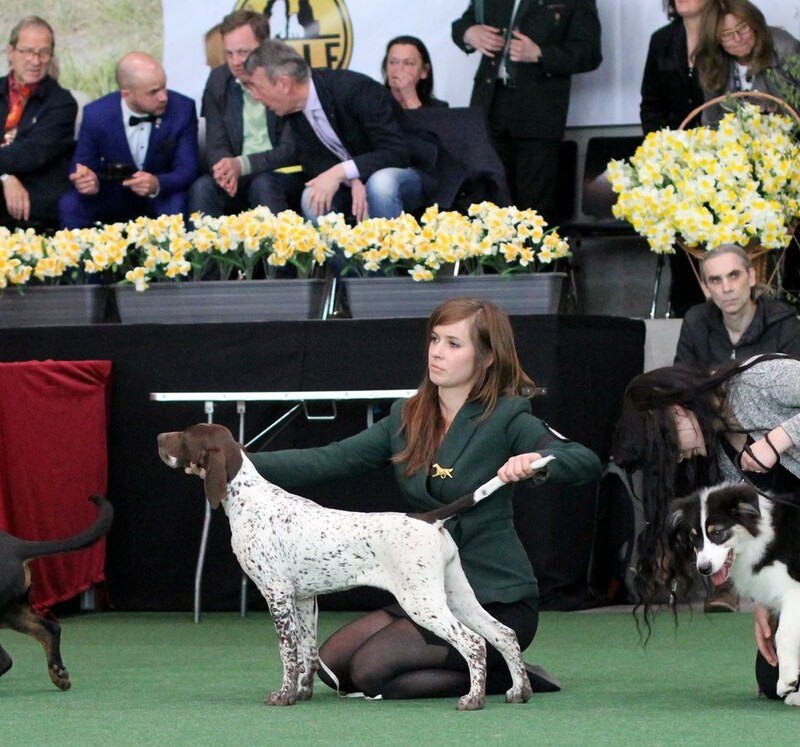 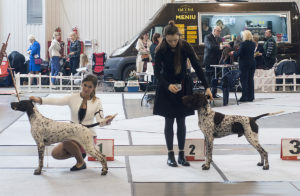 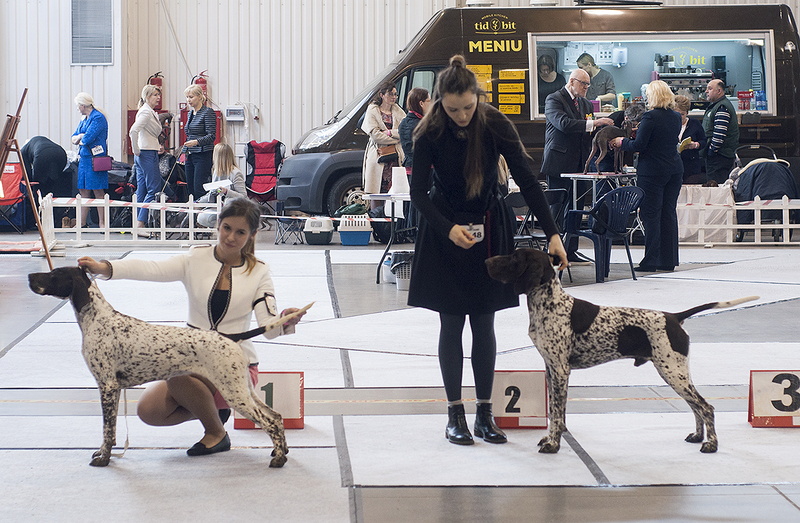 The above-average values of her exterior make UTOPIA often take part in dog shows in Poland and abroad (national, specialist, club, international, world and European rank), always winning top positions. 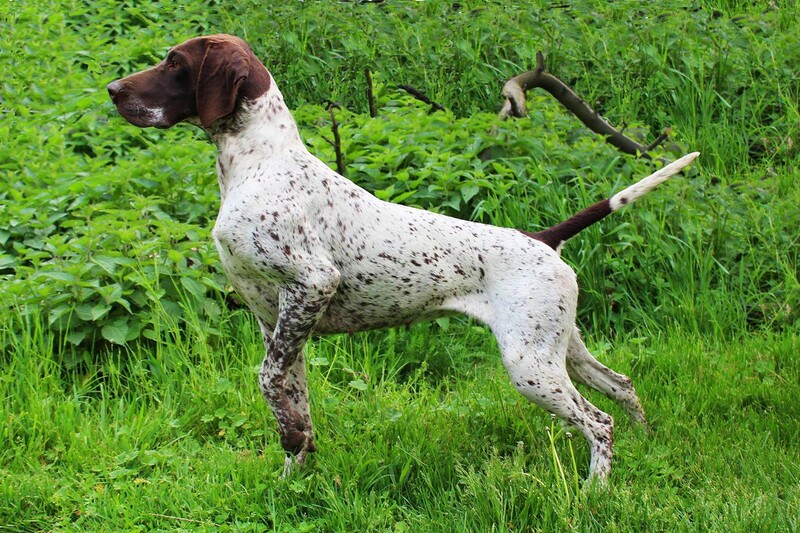 Elegance, excellent hunting, character and the fact that in everyday life she is a very nice dog, make UTOPIA mutually enjoyable for everyone who has contact with her. 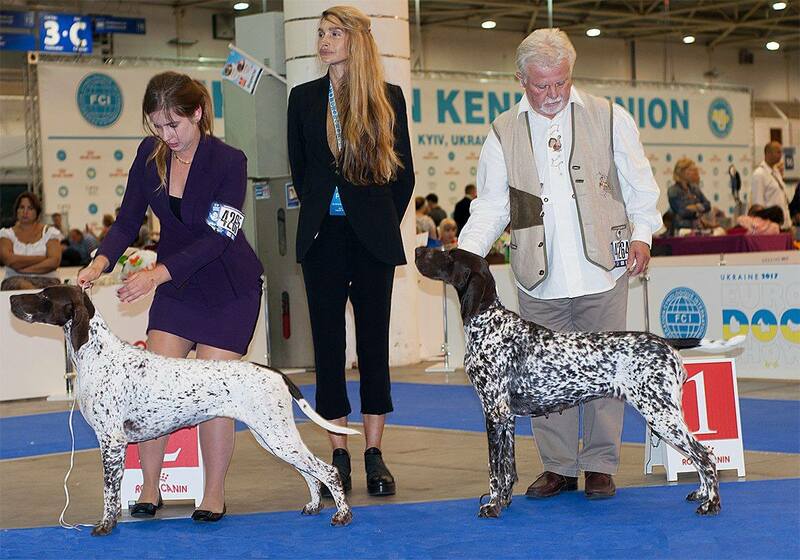 UTOPIA early started her adventure on the dog show rings. 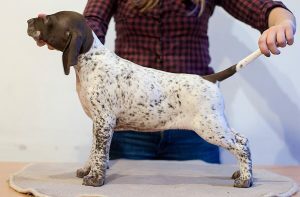 She won 1st place in the minor puppy class for the first time at the age of 4.5 months. 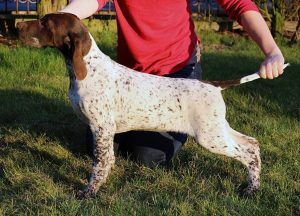 Like her mother, she is cheerful and courageous, arousing the interest of the observers. 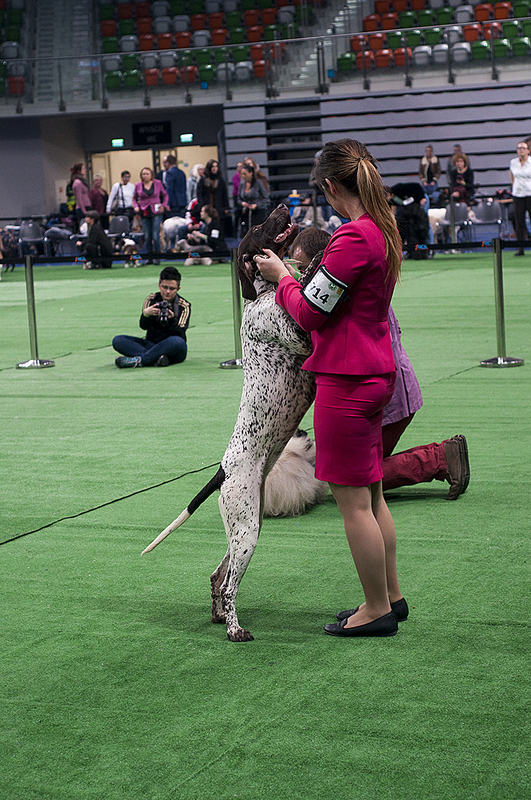 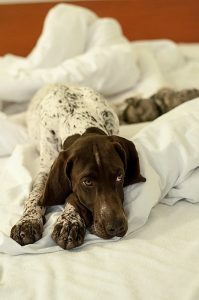 At the European Dog Show in Brussels she won puppy class and became Best Puppy in Breed. 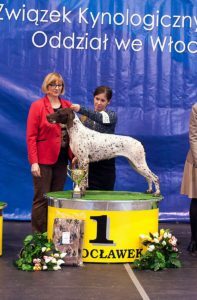 Her first start in junior class immediately ended with winning BOB Junior. 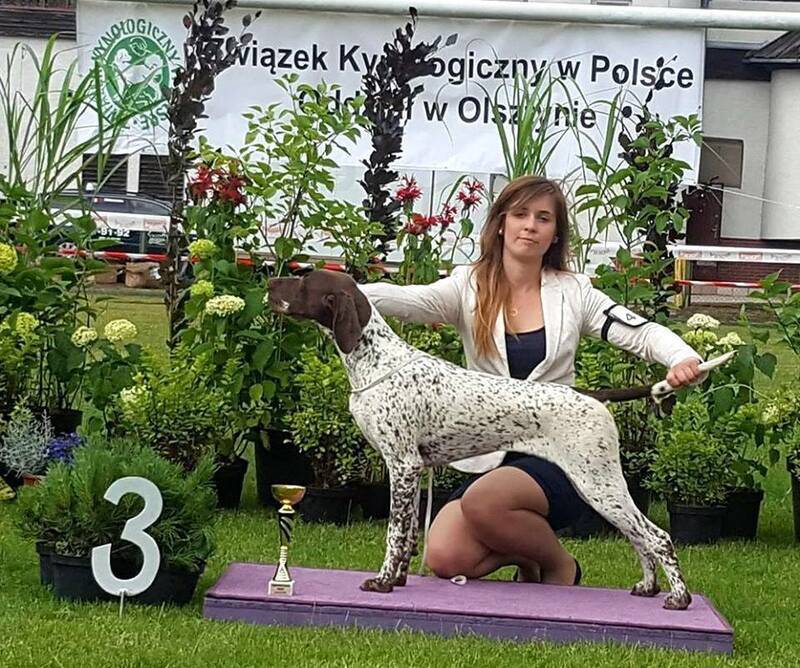 She quickly became Junior Champion of Poland and Junior Winner of Lithuania. She is Champion of Romania, Poland and Lithuania until now. 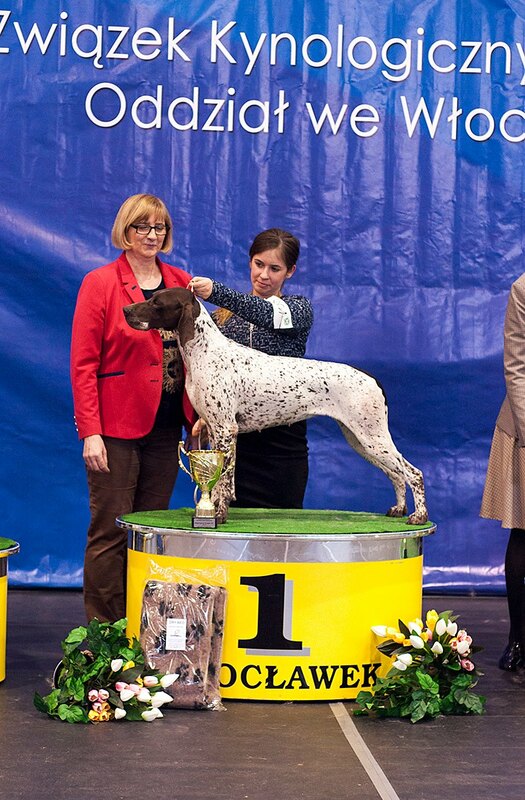 I hope she will finish the Championships of Slovakia, Hungary and became International Show Champion (C.I.E.) soon. 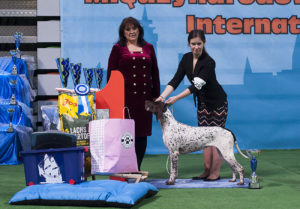 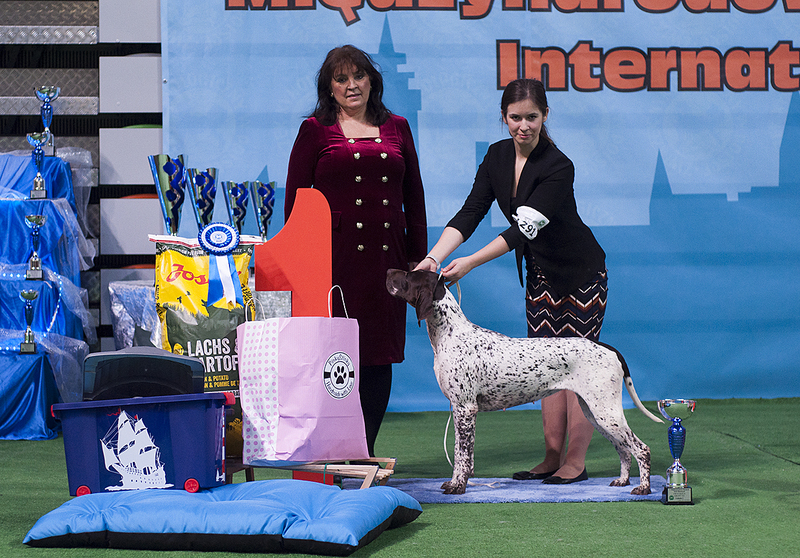 She is a multiple winner of 7th FCI group at international and national dog shows. 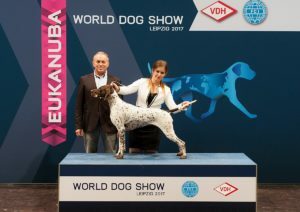 She won BOB at the Club Dog Show in Lithuania. She won Best in Show and Best in Show II. 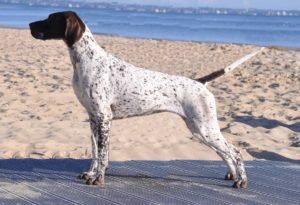 During field trials she received 1st degree diploma with a maximum number of points (100/100). 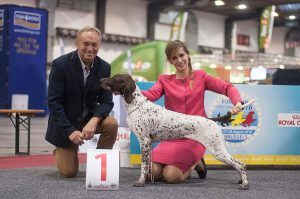 UTOPIA was also appreciated in specialist rankings. 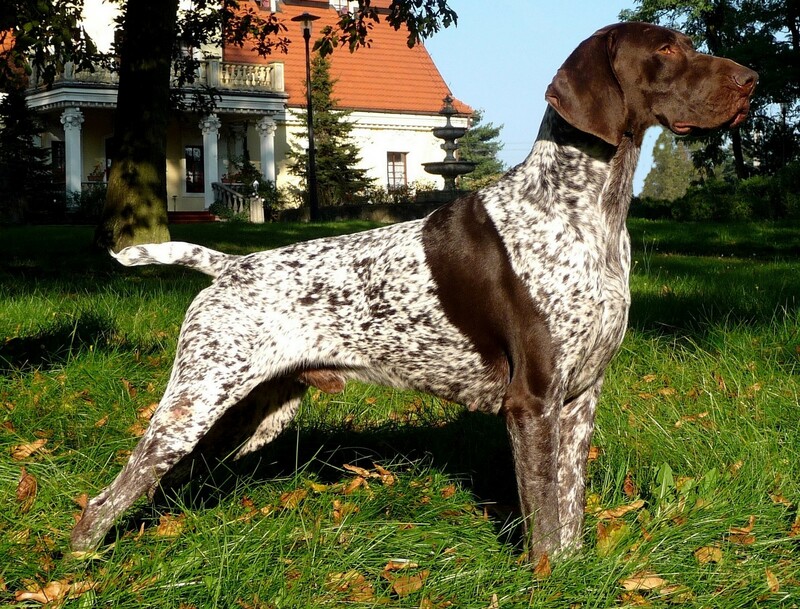 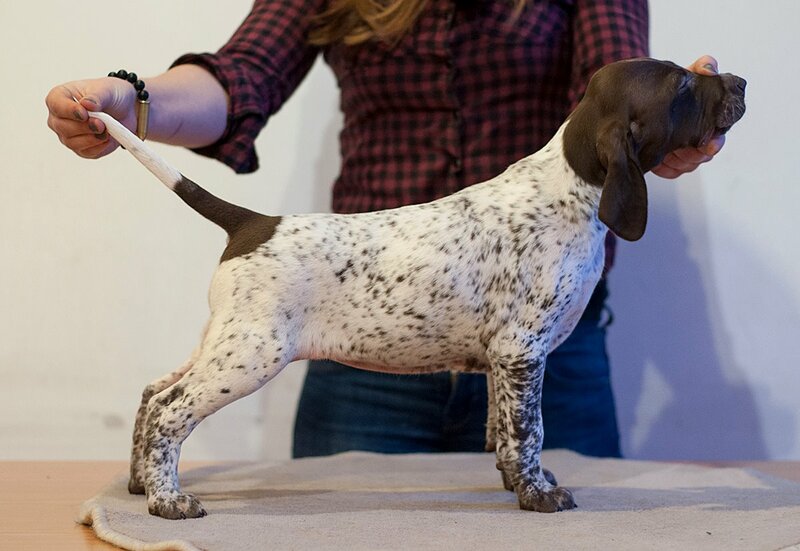 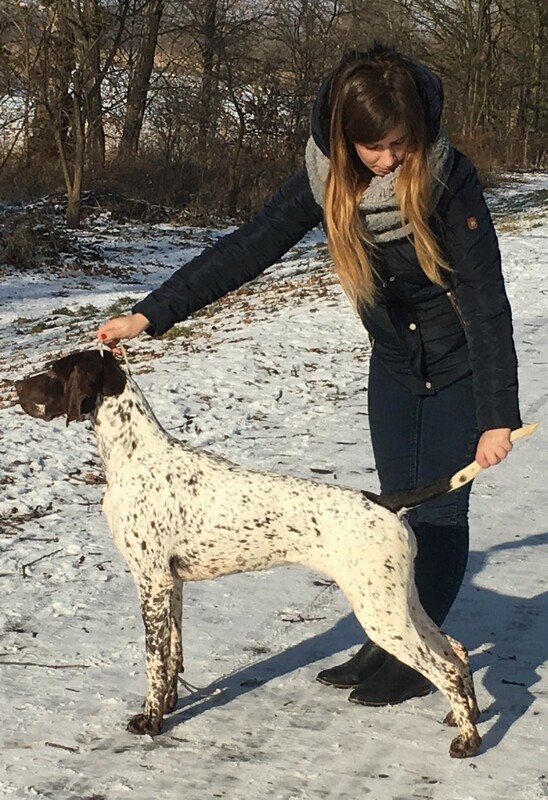 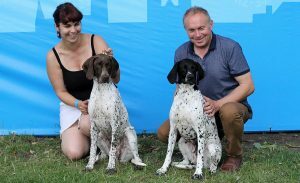 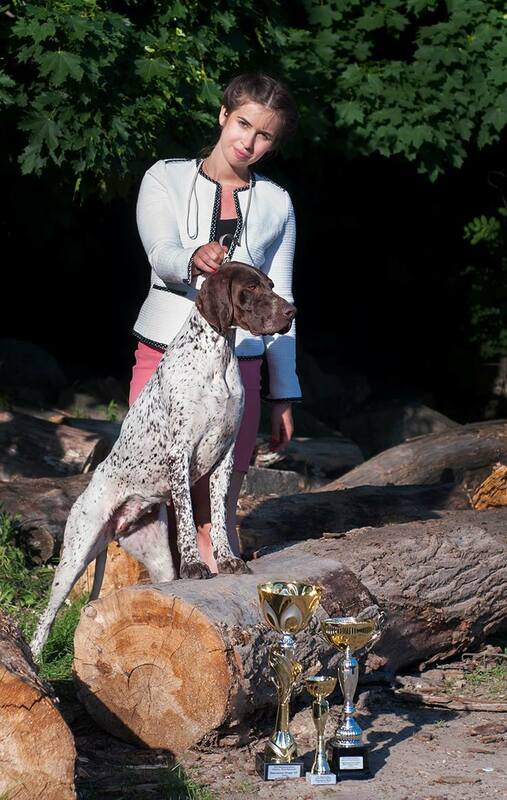 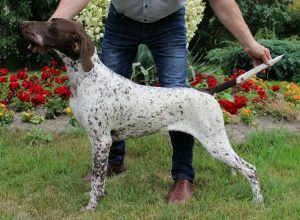 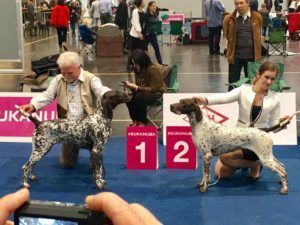 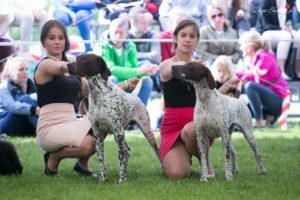 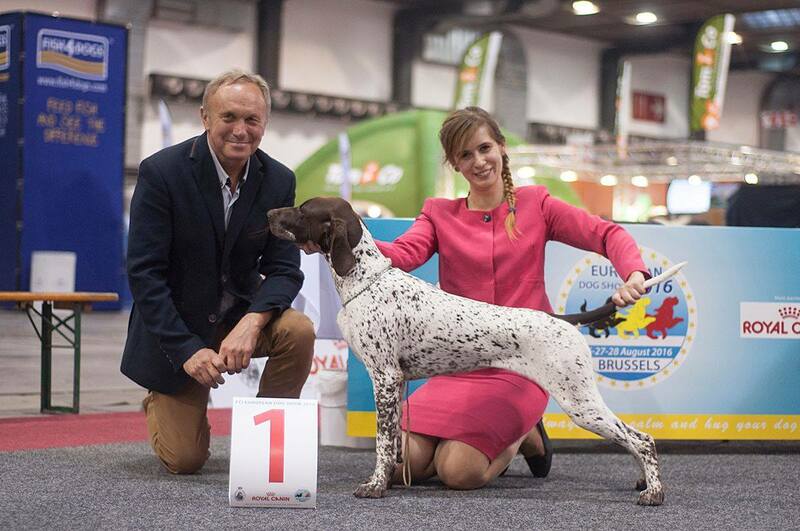 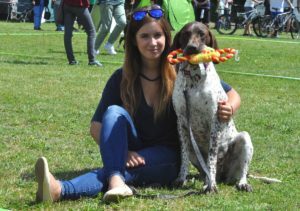 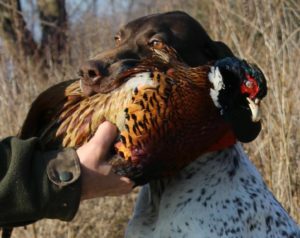 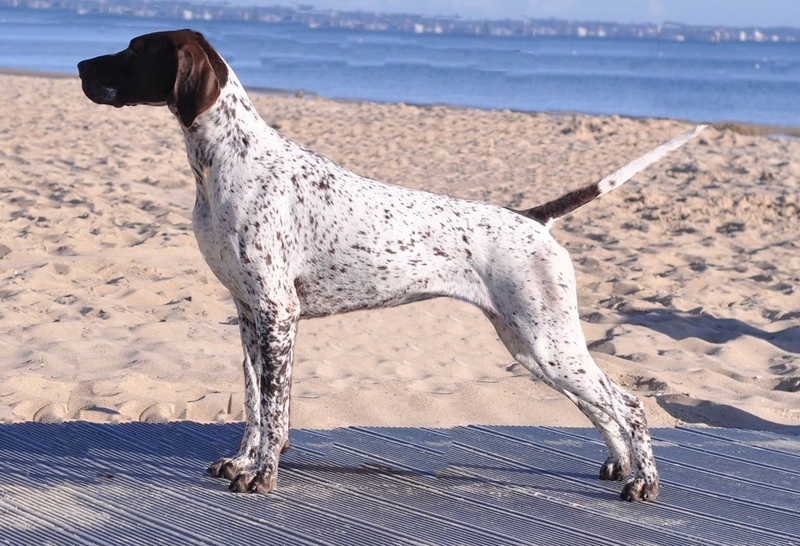 In the Dog Show Ranking 2017 and 2018 organized by Polish Kennel Club Branch in Lodz and in the National Ranking 2018 of the Polish Kennel Club she was awarded the title of Best German Shorthaired Pointer. The pedigree of UTOPIA’s parents is based on dogs from Malomközi and Hege-Haus kennels. 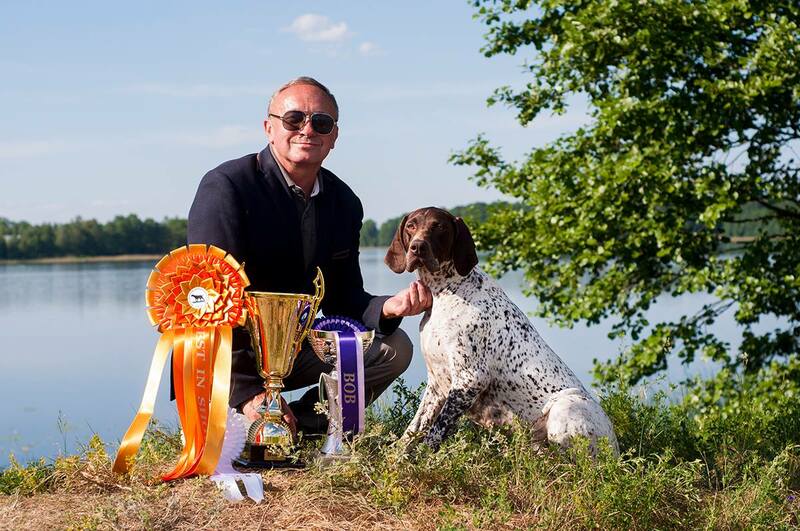 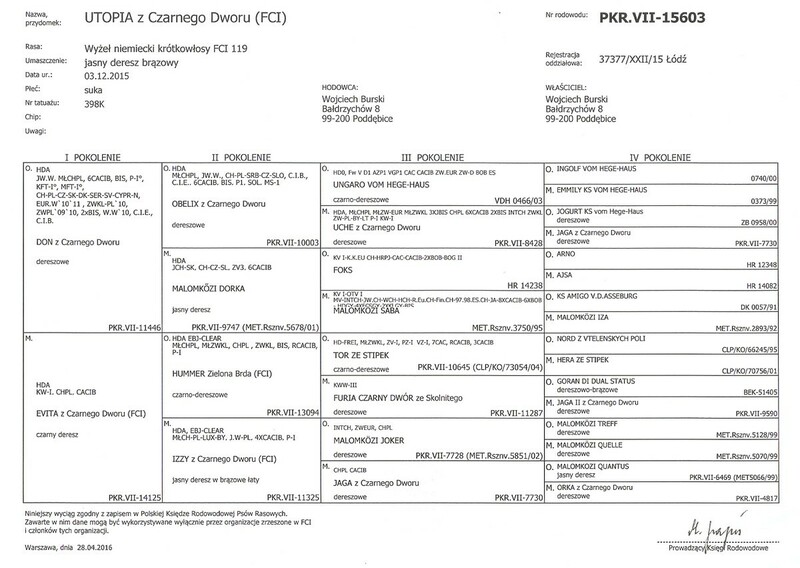 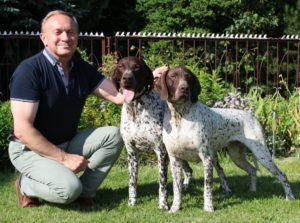 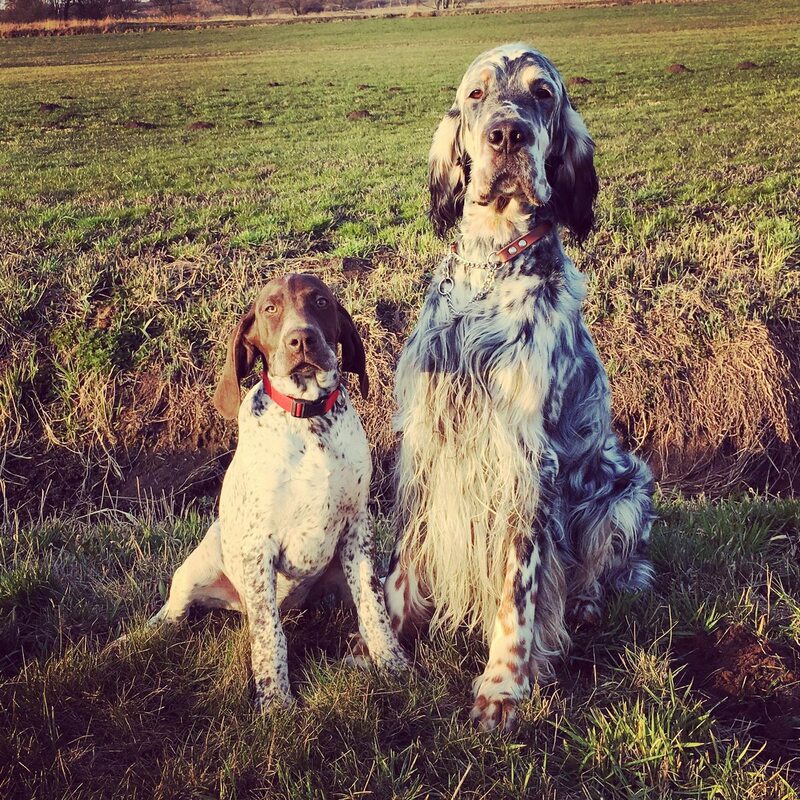 Father DON z Czarnego Dworu (European and World Winner) is the son of World Junior Winner OBELIX z Czarnego Dworu (from the combination of the leading German male dog UNGARO vom Hege-Haus and European Junior Club Winner UCHE z Czarnego Dworu) and v-ce European Winner Malomközi DORKA (daughter of European Winner FOX and World Winner Malomközi SABA). 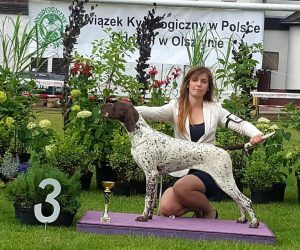 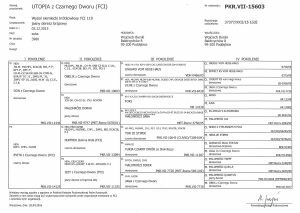 Mother - EVITA z Czarnego Dworu - is the granddaughter of World Winner Malomközi JOKER and granddaughter of World Winner Malomközi TREFF. 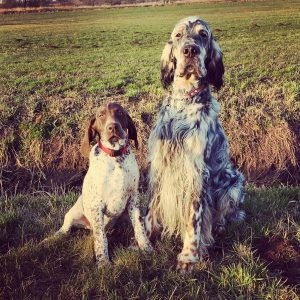 In the pedigree of UTOPIA, Hege-Haus blood carries alongside UNGARO such excellent dogs as EMMILY, JOGURT and GORAN di Dual Status.